Late afternoon visit to Prodrive! Posted March 16, 2011 by grohling & filed under BCS Oxfordshire, Events. 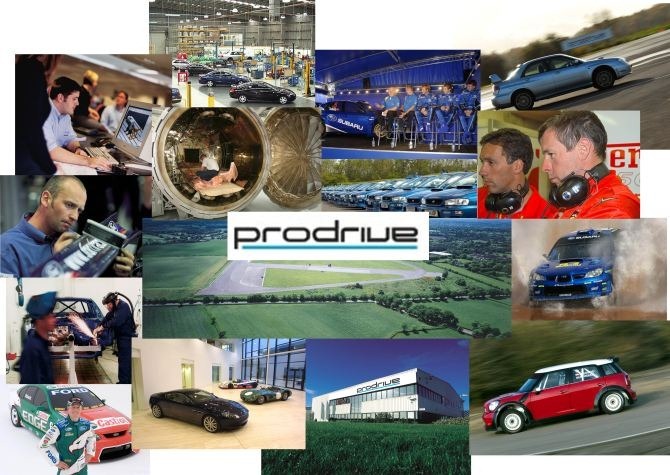 Prodrive is one of the world’s largest and most successful motorsport and vehicle technology businesses with annual sales of £100 million and employing more than 500 staff in the UK, India, Australia and China. In the UK, Prodrive has manufacturing facilities and offices in Banbury, Warwick and Milton Keynes. Our tour will start with coffee in the Prodrive heritage centre where we will be able to view race and rally cars from Prodrive’s 25 years in world motorsport which have included such greats as Richard Burns and Colin McRae. There will be opportunities to see the manufacturing facilities including rally car transmission, engine build and dynos – see what it takes to make an £80,000 gearbox! We will tour the workshops where they build Subaru rally cars, the Aston Martin GT1, GT2, GT3, GT4 and the current Gulf liveried LMP1 sports cars. We will also see the advanced machine shop and CNC equipment where we hope to talk to the specialists making the parts which go into their cars. The tour takes around two hours. At the end of the tour, the merchandise shop will be open. There is a charge of £5 for BCS members and £10 for non-members which is a heavy discount on the normal cost of such a tour. Spaces are limited, so book now to avoid disappointment! Click here for a map and directions to the Banbury location. On arrival, head for the Main Reception area. To book your place online please login via this link. Not registered for access to our secure area? Register first, then login via the above link. Full refunds will be issued if a cancellation is received by 12pm on Thursday 21st April 2011, name substitutions will be allowed after this date. Bookings close 11:59pm on Tuesday 26th April 2011. Name substitutions are accepted at any time prior to the event by email. As a body for IT professionals BCS Group regularly communicates with its interested parties by email. I understand that BCS Group will not pass on my email address to other organisations. BCS Group will hold your personal data on its computer database and process it in accordance with the Act. This information may be accessed, viewed and used by the Society for administrative purposes and conducting market research. All of these purposes have been notified to the Commissioner.If you are based outside the European Economic Area (the ‘EEA’), information about you may be transferred outside the EEA in accordance with the requirements of the Act.